As a Southern Cross affiliated provider for varicose veins we can save you time, effort and worry by directly billing and accessing the society on your behalf . 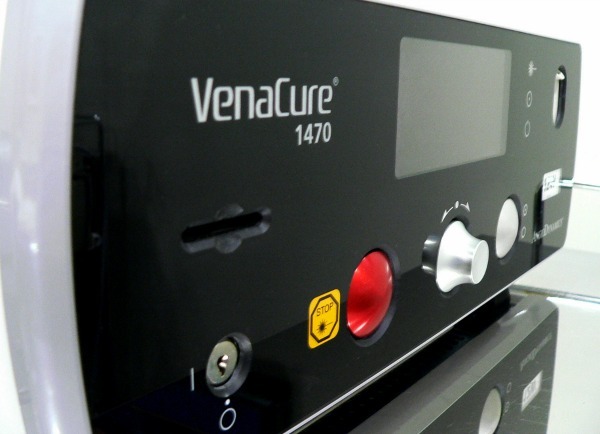 Read on …..
We are able to check you have current cover for varicose veins. Then, as long as you meet Southern Cross's criteria, you will know they will pay for your assessment and treatments. As well as a support stocking for each treated leg to be worn after each session. Previously, as is still the case with many other insurers, we would do the assessment and provide a report. The assessment fee would be paid by you at the time of the initial examination. You would then apply to Southern Cross to have it reimbursed. Also you would send the report to the assessors in the society. They would check it showed you met their current criteria. Once they agreed, with their pre-approval letter you could proceed, knowing they would cover the cost, which could be either reimbursed from them after you paid us, or paid directly to us if you chose that option. Problems could arise with the time the process would take. It was cumbersome. If the detail in the report was unclear to the assessor they could turn down your approval or request further information. At the same time people could not always understand why they were turned down. Or, within the process, whether they would get the approval they sought. In being turned down many people felt aggrieved and unsure why they were not covered. With the new Southern Cross affiliated provider for varicose veins cover we have the criteria they require you to meet for them to approve treatment (more on that below). We can let you know at the time of your assessment whether you have met their requirements. We can also clarify the reasons face to face with you, leaving you more sure where you stand. Previously you might not have been sure what exactly let you down. As a Southern Cross affiliated provider for varicose veins the society regularly audits us to ensure people we are approving really do meet the cover criteria. These critical elements have changed several times while I have being treating varicose veins. But they have been very stable for quite a number of years now. One element was added in the first year or two of the new system. This was the symptom of pain associated with your varicose veins. So what are their criteria? Essentially as a Southern Cross affiliated provider for varicose veins I need to ensure two elements are meet. There needs to be an underlying deeper problem beyond what can be seen on the surface. The connections that drain the surface veins have to be involved. Also there is a minimum size requirement of 3mm for the connection. Our ultrasound imaging lets us measure and assess this. The second part a Southern Cross affiliated provider needs to ensure you meet are those related to problems with your varicose veins. It is not the appearance or size of the visible vessels. But their affect on your legs. All are related to relatively more severe vein problems. Yet they can occur quite early on at times. As I mentioned, pain has been included now for many years but was not initially. It needs to be to the degree that simple pain killers like paracetamol do not relieve it. In my experience most people’s vein pain does not respond well to simple analgesia anyway. The problem with pain, of course, is it’s totally subjective. No one else can see or experience it. But varicose vein pain has some distinct characteristics. All the other second criteria elements are easily visible to others. They may not be in evidence at the time of your consultation. But they will have occurred, been observed, and often been recorded by your doctor. Probably the most severe of these is a varicose ulcer. If one has occurred at any time with your veins then you will be eligible for cover. Often such ulcers will not heal without treating your veins. Certainly they otherwise take take a long time to heal. But with good management they can settle before vein treatment occurs. The risk, though, is that they can readily recur as they indicate a more severe problem with your varicose veins. The tissue in your leg is poorly drained and any minor injury can produce another. In line with this are long term skin changes that occur with poor draining of your lower leg skin associated with the back pressure and sluggish clearing of wastes from your skin with varicose veins. 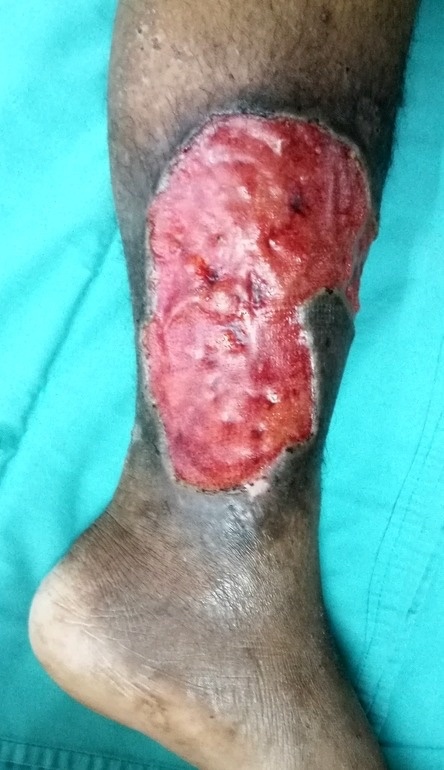 What we know as lipodermatosclerosis shows usually as a pigmented or darkened skin area around about the ankle. It tends to be quite hard and thickened. Associated with this condition, but not so common is an acute form of this long term inflammation. You might get a painful, tender, red, localised area of skin. Known as panniculitis, it is a segment of sudden onset inflammation in your skin. It will resolve with anti-inflammatories with or without a compression stocking (although this could be painful to wear). 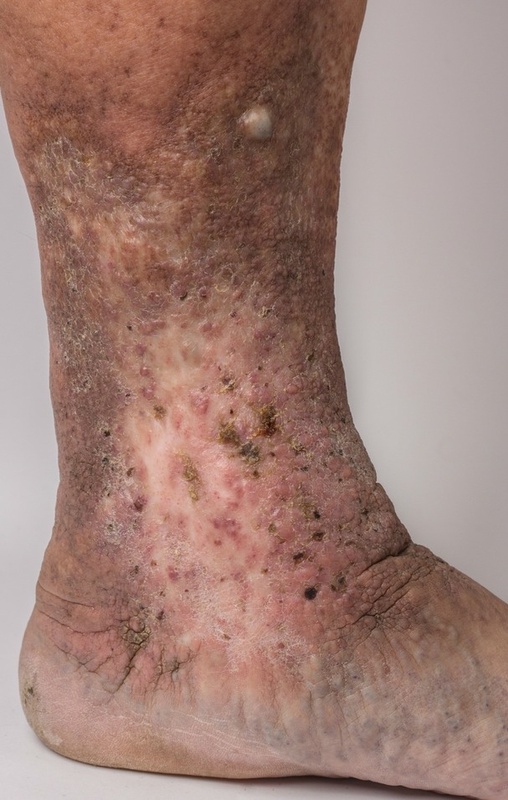 Another longer term problem that I as a Southern Cross affiliated provider for varicose veins can approve your treatment for is varicose eczema. This is a recurring localised skin rash, usually red and itchy. It will settle with the common creams utilised for eczema. But it will always recur as the underlying vein problem has not been fixed. Again your skin is in a sub-optimal condition. Often people will notice they have itching associated with varicose veins. As I have covered elsewhere, internationally this has been shown to be the best predictor of future significant problems with your varicose veins if you do not get them treated. It indicates your skin is dry from the poor vein drainage. With women especially using moisturisers on their legs the associated eczema that will occur may be masked for a time. 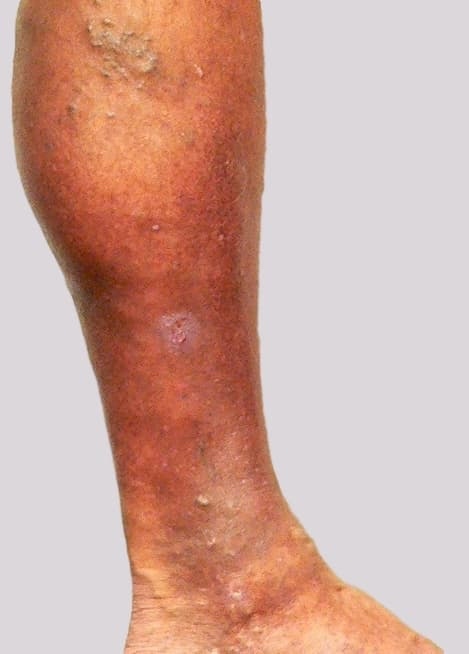 Another inflammation condition that meets cover criteria under the Southern Cross affiliated provider scheme, is a superficial thrombophlebitis. A localised clot in part of the surface veins, it becomes inflamed as your body attempts to clear it. It will appear as a red line or area in a segment of vein. It will be tender to pressure, may be painful with movement, and will feel hard to the touch. It will also likely recur. At one point you needed a couple of episodes to be eligible for treatment cover. But now just a single occurrence is enough to be able to approve you under the Southern Cross affiliated provider for varicose veins scheme. Another rather dramatic event that will see you have your costs met, is bleeding from a varicose vein. The skin overlying a varicose vein can become very thin. Often the area will have a deep blue colour as so little skin separates the vein from the surface. Even minor trauma, or even no apparent injury at all, will break the thin section of skin down. Bleeding is usually profuse. Due to the underlying varicose veins. Simple pressure and elevation, as I mention on the page I wrote about the problem, will stop the bleeding. But if you are unaware it is possible you could lose a lot of blood this way. Having happened once, again it is highly possible it will recur. As a Southern Cross affiliated provider I can check whether you have cover for varicose veins, as I mentioned above. Just having your name and policy we can enter an on-line enquiry to Southern Cross. Usually within minutes we can see and let you know the result. This will allow you have a short assessment involving your history, current appearance and the briefest of ultrasound checks. Then we proceed to a full mapping of your problem. The colour duplex ultrasound machine lets me see underlying detail, make measurements and see the dynamics of your veins. With some Southern Cross affiliated providers the mapping may be done separately, even at an off-site radiology service. Or by another operator. To me though, having that immediate information is kind of important to you. Plus I need the equipment for when I do your treatment. Under Southern Cross’s current arrangement you are entitled to two treatments to each leg in your lifetime. Treatments they funded before these new criteria were formulated (which was around 2005-6) do not count. As a Southern Cross affiliated provider for varicose veins I am expected to follow you for a year from the payment the society provides. Any touch ups, or relapses of the original problem are therefore covered under this. A totally new problem would not be. In taking up a policy with Southern Cross if you have had treatment for varicose veins before they may exclude future cover for these. They or your broker should have alerted you to this at the time you took out your policy. But time can make your memory hazy. Therefore having us being able to check your current eligibility for cover can be important. There are a large number of different policies within Southern Cross. Your particular cover might vary a lot from someone else’s. The most common are 100% or 80% cover. But there are a number where you must meet to first $500 or something similar. Then there are others where you might have to pay such a sum or for the initial assessment, which is more than this. Then, if you meet criteria and have your treatment within six months of your assessment, Southern Cross will reimburse you for the initial charges. Like all insurers, Southern Cross is offering an increasing range of policy options to make cover accessible for as many people as possible. New forms will no doubt occur in the months and years ahead. Especially as our premiums keep rising with our age. If you do not meet the criteria that Southern Cross have set, going directly to them will not change your eligibility. But varicose veins are a dynamic, deteriorating process. They will get worse with time. Sometimes quite quickly. You may suddenly meet their specific criteria and be covered. But at least with a Southern Cross affiliated provider for varicose veins you will benefit from a significant streamlining of what can otherwise be a convoluted process.